i m also searching battery , i get one-2 but they r duplicate and phone switched off within 1-2 hrs. any suggestion..
we can not find new battory in Raipur. pl give the add where i get the new battory. i have Benq m300, but i can't transfer images on my computer with the USB cable. Can you send me the driver at m.ayazumer@gmail.com ? man,and i loved this phone but it fell from my hand to the ground,still missing it.it was a good design and my first phone too. i have Benq m300, but i can't transfer images on my computer with the USB cable. Can you send me the driver at cpanzeri@libero.it ? i have usb cable but i have not usb driver. so please send me usb driver my e-mail id meetmeet_hirpara999@yahoo.co.in. i my usb number is 0425. give me mobile m300 software. thanks. bye bye & take care. 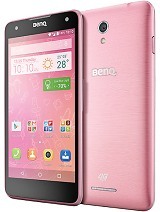 I bought BenQ M300 mobile phone around 3 or 4 years from now. I recently am having problem with the mobile. It frequently Switches OFF and Automatically Switches back ON. I took the mobile to Local Service Care. They say that it’s a SOFTWARE Problem. Kindly let me know where I can Find the Flashing software for BenQ M300. hi!..i'm using benq m300 ..and i dont know how to operate the internet on it. hi everybody, i want 2 restore the m300 but invaid error are found plz help what m i do..........?? 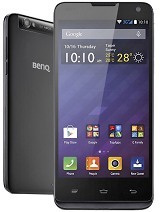 I am using BenQ M300 Mobile since last three years or more. But sorry to say that just six months ago my said mobile was slipped down on the ground from my hand. As a result a shadow is appeared on the monitor (display board), I can't read any massage or choose the name whom I want to call. Other functions are OK. I tried my best to replace a new LCD Monitor (display board) on my mobile, but my all attempts were in-van. Please inform me where and how I will change the Monitor. I am also want to purchase a battery for BenQ M300. Hai Every body I am using BenQ M300 It is fine but one problem This is camera phone but capture is ok not download system I want Data cable and Cd software. Please arrange the drivers and cd data cable ok by c u all of u. Total of 157 user reviews and opinions for BenQ M300.